The group “Protest Barrick” has been organizing annual demonstrations for the past 8 years against one of the biggest minning companies in the world, Barrick Gold Corp. It takes place in Toronto, in front of the building in which the corporation’s general meeting takes place. This year, the demonstration gathered around 150 people on March 28th. The protesters were joined by Sergio Campusano, president of the Diaguita Huascoaltinos in Northern Chile, and Jethro Tulin, the executive officer of the Akali Tange association and Porgera Alliance. CKUT member Anouk Millet talked with Darius Mirshahi, one of the organizers of the demonstration at “Protest Barrick”. This interview is in French, and was produced by Antoine Cadaux for CKUT. 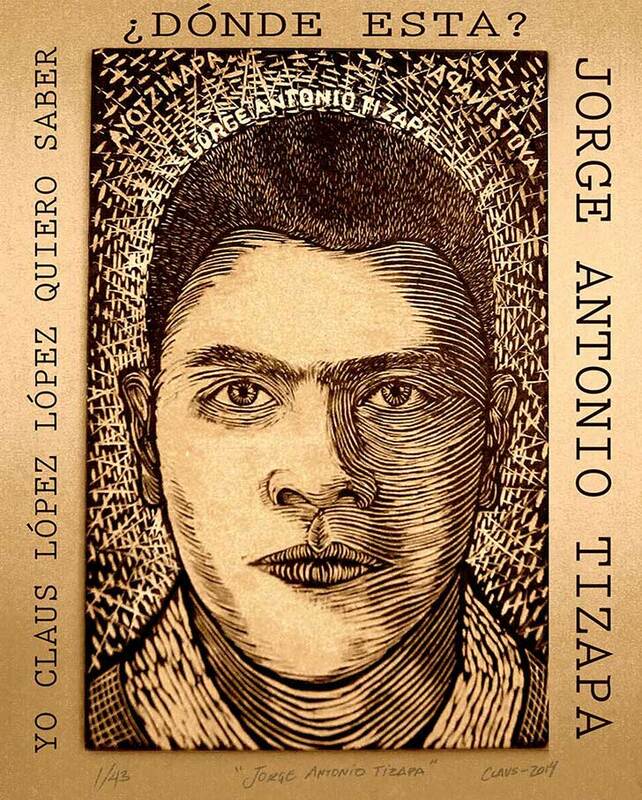 On September 26th 2014, police forces in the State of Guerrero, Mexico, attacked a busload of students from a rural teacher training school in Ayotzinapa. This attack resulted in the death of six people, and the forced disappearance of 43 students. On April 20th 2015, a caravan from Ayotzinapa travelled to Montreal. In this interview, Hilda Legideño Vargas, the mother of one of the disappeared students, and Jorge Luis Clemente Balbuena, a student from the teacher training school, explain why they have travelled to Canada in their struggle to find the 43 students. Brought to you by Simone Lucas from CKUT’s News Collective. Building autonomous communication infrastructure was the theme of a workshop called TRANSMESH. Held during the World Social Forum in Tunisia as part of the World Forum of Free Media, the workshop presenters explained how to install a MESH network. This technology allows for the sharing content digitally over community networks that are independent of corporation or government control. -Benjamin, a media activist working with both pirate radio and MESH networks in France. Benjamin speaks about autonomous communication technology and his participation in the World Forum of Free Media. For more information on TransMesh – email transmesh@forums.fmml.net to get on a mailing list and learn more about this initiative. You can find out more about the World Forum on Free Media online at http://www.fmml.net. CKUT’s very own Gretchen King brings you this report. We bring you the lastest edition of Street Beat realised in collaboration with homeless youth at DansLaRue. This month’s edition of Street Beat features more from conversations with youth at Chez Pops – the day centre of Dans La Rue, which is an organization that provides services for homeless youth and youth “at risk.” The suggested discussion topic for the most recent conversations at Chez Pops was tattoos and piercings. Folks at Chez Pops were invited to talk with CKUT about their tattoos and the meaning behind them. 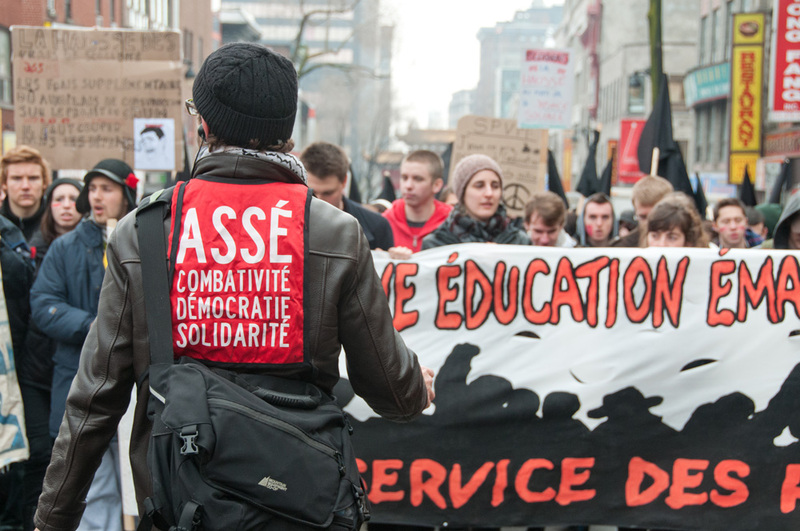 With University classes ending and student strikes winding down, many are wondering what's next for the anti-austerity movement. CKUT volunteer Celia Robinovitch caught up with Comite Printemps 2015 organizer Brice Dansereau-Olivier to reflect on the recent anti-austerity action and discuss where the movement is headed.